As part of its commitment to improving effective performance at the Basic Education Level, in rural communities Trax Ghana in partnership with the British school of Brussels (BSB) awarded 40 scholarships to brilliant but needy students in the Upper East Region. 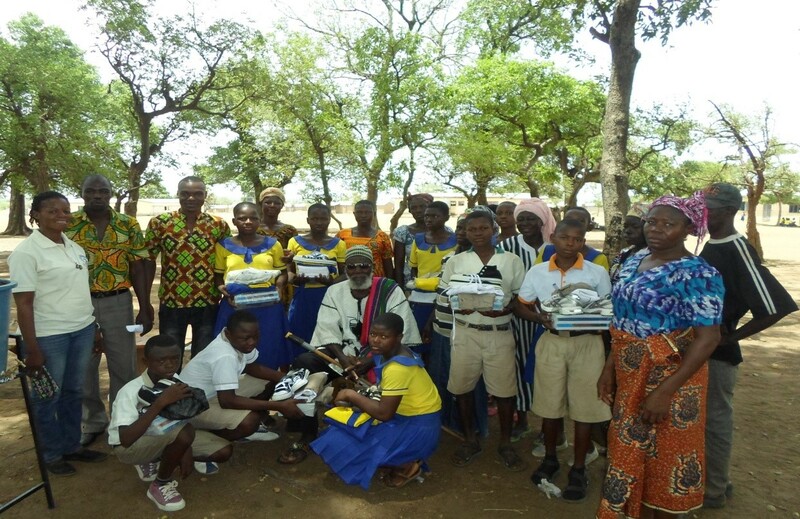 The scholarship package includes a school uniform, an exercise books, sandals, pens and a weekly feeding fee of five Ghana Cedis per attendance. The cost of the items stood at 4,150 Ghana Cedis for all 40 students. The objective of the scholarship program is to encourage the beneficiaries to study hard and excel in both their internal and external examinations, as their performance will be monitored. 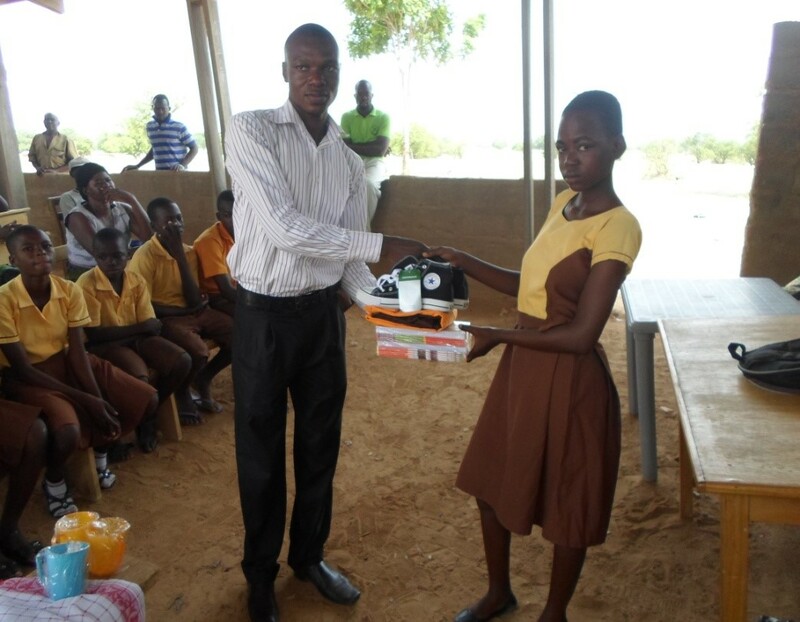 The supported schools are Dachio and Zuarungu Moshie as well as Gaari/Gbani and Duusi cluster of schools in both Bolgatanga Municipal and Talensi District assemblies respectively. One of the beneficiaries, Sakzabre Paulina a beneficiary of the scholarship package at the Duusi Primary School, promised the sponsors that the beneficiaries have no reason not to excel in any examinations and assured them that their good efforts would not be in vain. In his speech at the scholarship presentation ceremonies at the four rural schools, Mr. William Adongo, Trax’s Sustainable Livelihoods Programme coordinator stressed the need for parents to be committed and invest in their children education since education is the bedrock of every economy. The Chief of Duusi-Naaba Lincoln Kambey with the scholarship beneficiaries, their parents, teaching staff and Trax officials. Mr. Adongo also advised parents not to over burden the children with domestic activities since it would go along way affect their performance. The partnership program, which started in 2008 has been able to establish computer laboratories in three of the four target schools, provided boreholes, teaching and learning materials, sporting equipments, library books, furniture and fencing of school gardens to encourage the teaching and practice of organic agriculture.